Supermassive black holes likely are behind most of the nearly 100,000 new X-ray sources plotted by the Swift X-ray Telescope, according to findings led by the University of Leicester in the United Kingdom. The results came from poring over eight years of data produced by the Swift space observatory. “Stars and galaxies emit X-rays because the electrons in them move at extremely high speeds, either because they are very hot (over a million degrees) or because extreme magnetic fields accelerate them. The underlying cause is usually gravity; gas can be compressed and heated as it falls on to black holes, neutron stars and white dwarfs or when trapped in the turbulent magnetic fields of stars like our Sun,” the university stated. The results were published in The Astrophysical Journal, which you can read here. You can also read the prepublished version on Arxiv. Why would a spinning star suddenly slow down? Even after writing a scientific paper about the phenomenon, astronomers still appear to be in shock-and-awe mode about what they saw. Archibald led a group that was observing a neutron star, a type of really, really dense object created after huge stars run out of gas and collapse. The studied star (called 1E 2259+586, if you’re curious) has a massive magnetic field that places it in a subcategory of neutron stars called magnetars. 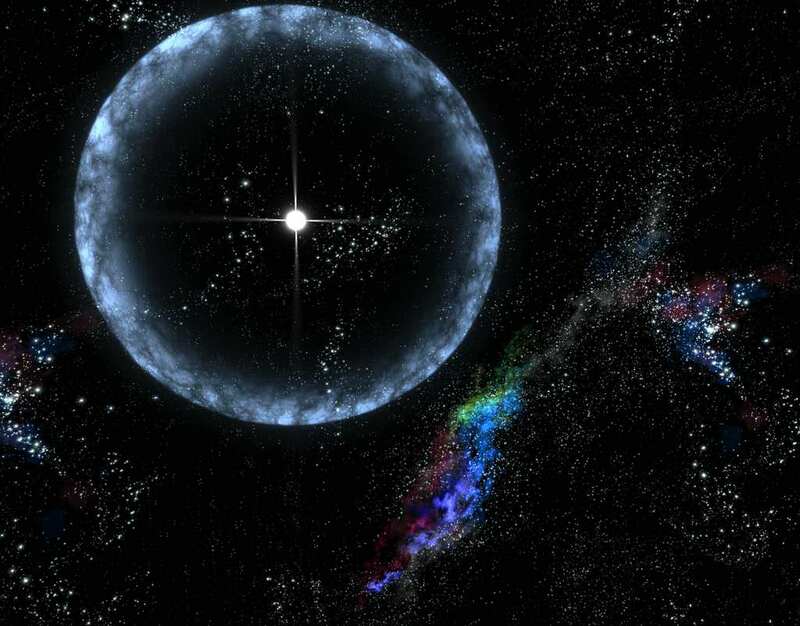 Anyway, the astronomers were watching over the magnetar with the NASA Swift X-ray telescope, just to get a sense of the star’s rotation and also to keep an eye out for the odd X-ray explosion commonly seen in stars of this type. But to see its spin rate reduce — that was definitely something unexpected. Previous neutron star observations have showed them suddenly rotating faster (as if spinning up to several hundred times a second wasn’t enough.) This maneuver is called a glitch, and is thought to happen because the neutron has some sort of fluid (sometimes called a “superfluid”) inside that drives the rotation. So now, the astronomers had evidence of an “anti-glitch”, a star slowing down instead of speeding up. 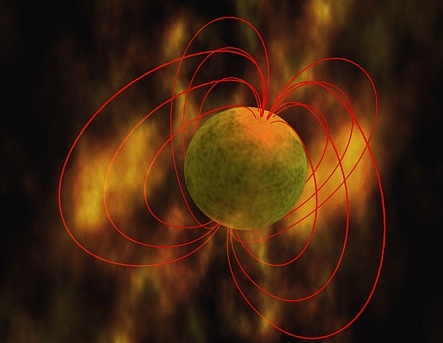 It wasn’t by much (just a third of a part per million in the seven-second rotation rate), but while it happened they also saw X-rays substantially increase from the magnetar. Astronomers believe that something major happened either inside, or near the surface of the star. And, astronomers added, if they can figure out what is happening, it could shed some light on what exactly is going on in that dense interior. Maybe the fluid is rotating at different rates, or something else is going on. “Such behaviour is not predicted by models of neutron star spin-down and, if of internal origin, is suggestive of differential rotation in the magnetar, supporting the need for a rethinking of glitch theory for all neutron stars,” read a paper on the results. The work was released today (May 29) at the Canadian Astronomical Society (CASCA)’s annual meeting, held this year in Vancouver. You can read the entire paper in Nature.